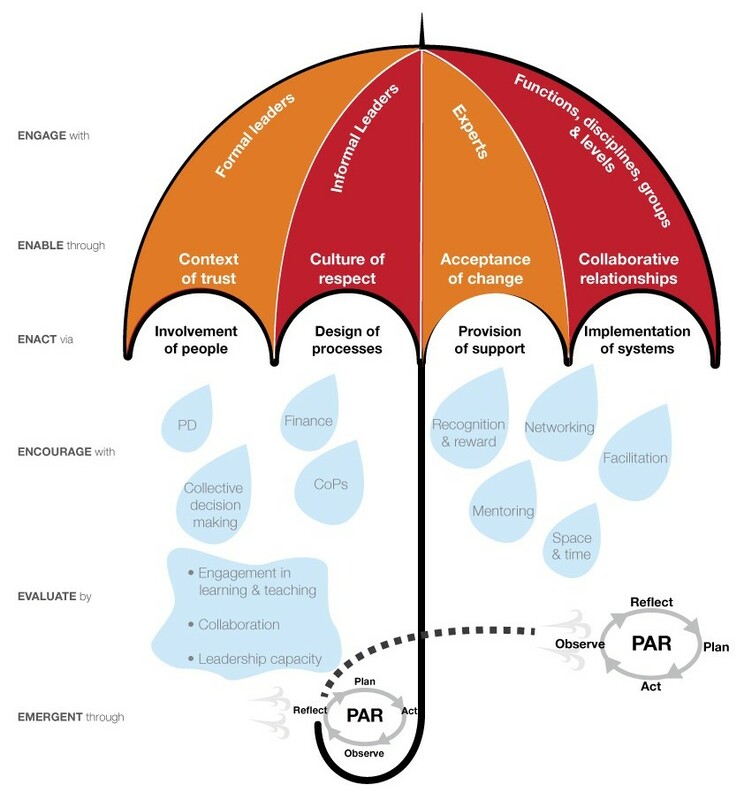 Distributed leadership is a key feature of co-learning. I am trying to enable and encourage. It’s up to all of us to enact. This entry was posted in Co-learning on January 24, 2015 by Howard Rheingold. I think we’ve all been able to participate in class and enact good conversation (way to go! ), but I think there’s a lot of room for improvement as far as online communication goes. I think it’d be helpful if we could all brainstorm ways that we can improve our online dialogues and come up with some new ways to shape the syllabus. Let’s face it, with only 8 of us in the class, making 2 blog comments and 2 forum comments a week only creates 32 opportunities for online, interpersonal communication each week… so it’s no wonder the online communication has seemed a little quiet. I don’t want to suggest increasing the mandatory number of comments each week (I know we’re all busy and have a lot of other work going on), but maybe we can come up with other ways to boost communication. For example, maybe we could each have a buddy whose blog we’re responsible for following all quarter long. Perhaps tracing someone’s thought process throughout time could help us make more connections/ links between posts and comment responses more tailored to the writers’ interests.